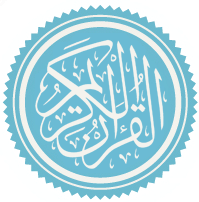 Al-Qaṣaṣ (Arabic: القصص‎, "The Story") is the 28th chapter (sūrah) of the Qur'an with 88 verses (āyāt). According to Ibn Kathir's commentary, the Surah takes its name from verse 25 in which the word Al-Qasas occurs. Lexically, qasas means to relate events in their proper sequence. Thus, from the view- point of the meaning too, this word can be a suitable title for this Surah, for in it the detailed story of the Prophet Moses has been related.